"Worldwide breakbulk and high & heavy cargo shipping"
Representing Höegh Autoliners, we offer transport of breakbulk and high & heavy cargo – from port to port, across the world. 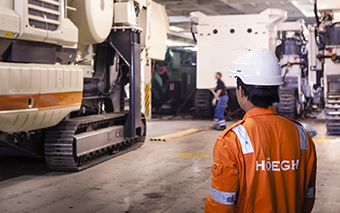 Höegh Autoliners is a global leader in Ro/Ro deep sea transport services. With a fleet of about 60 Ro/Ro vessels and a large network of trade routes – Höegh Autoliners is your go-to provider for flexible and cost-effective cross trade solutions. 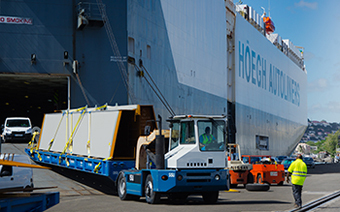 Höegh Autoliners has a purpose-built fleet and equipment to handle your type of cargo and bring it safely to its port of destination. 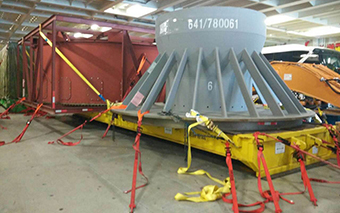 The purpose-built vessels of Höegh Autoliners are designed for optimal loading/unloading of breakbulk, high & heavy and project cargo. The New Horizon Vessels, most recently added to the fleet, enable cargo up to 12 metres wide and 6.5 metres high to be loaded. These vessels also have a stern ramp with a capacity to carry cargo weighing up to 375 tonnes. To secure the safe transportation of your high-value cargo, Höegh Autoliners operates a large fleet of cargo handling equipment, including roll-trailers ranging from 20 to 80 feet in size and with a capacity to handle up to 160 metric tonnes. If more capacity is needed, we are ready to extend our fleet and bring in extra heavy-duty equipment that will meet your specific cargo requirements. A strict set of safety procedures are also in place. At every port, and on board each vessel, a specialist cargo operations team ensures that all safety aspects and manufacturer instructions are met when lashing, securing and transporting your cargo. 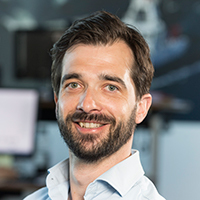 Our team of specialists are experienced in handling breakbulk cargo and will find you a smooth transport solution through the global trade network of Höegh Autoliners.